It is important for a researcher in Pakistan to get his or her research published in an international journal but it is more important that the research being produced is also useful for our country and the society as well. The Higher Education Commission (HEC) has done a great job by increasing the research output of the country’s universities quantitatively, however there is a lot to be done on the qualitative side. 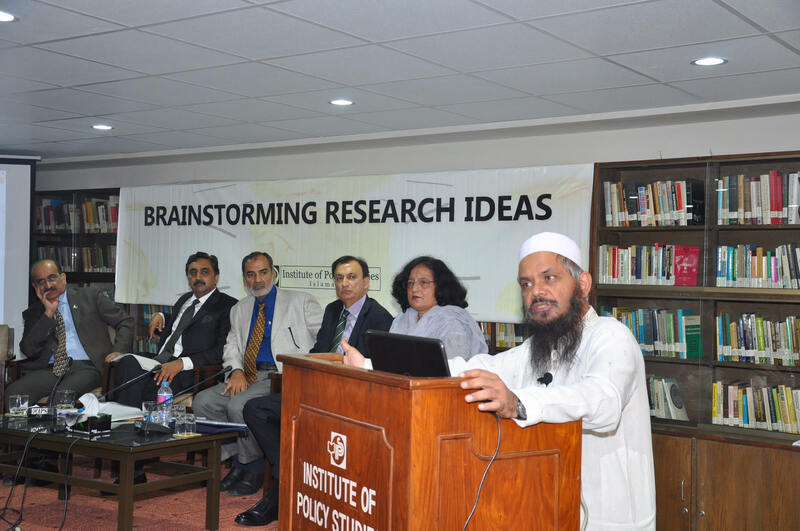 This was unanimously conveyed by leading policy researchers and practitioners in a seminar recently held at the Institute of Policy Studies titled ‘Brainstorming Research Ideas’ held under the auspices of IPS LEAD – the Institute’s Learning, Excellence and Development Programme. The key speakers included Dr Asad Zaman, Vice Chancellor, PIDE University; Khalid Rahman, DG-IPS; Dr Tahir Hijazi, member, Governance & Reforms, Planning Commission of Pakistan; Air Cdre (retd) Khalid Banuri, DG-ACDA, Strategic Plans Division (SPD); Ahmer Bilal Soofi Advocate, former law minister and president, Research Society for International Law; and Dr Naheed Zia Khan, Dean, Humanities & Social Sciences, Fatima Jinnah Women University (FJWU). The seminar was attended by around 120 research students enrolled in PhD, MPhil and LLM programmes in different universities of Islamabad and Rawalpindi along with a number of their research supervisors and faculty members. The speakers called for the promotion of ‘research culture’ in the education system of Pakistan and advised the young researchers to pursue their research careers passionately and select issues that are vital for Pakistan’s future. They also stressed the importance of indigenous narratives and solutions in the research being produced in Pakistan and the critical need for an interface between policy research and practice or an ecosystem for the purpose. DG-IPS announced on the occasion that his institute will hold a series of such seminars and workshops regularly on various disciplines to facilitate young researchers to produce useful policy research for the state and society in Pakistan.